Woxow is back with another 7", and this time it's all about reggae. After pressing the original song and K+Lab remix, now this is the turn for DJ Maars's remix. "Chaos" is a track where the Italian producer Woxow managed to persuade not just rocksteady legend Ken Boothe to appear on it but also Akil from Jurassic 5 and Blurum13 as well. Secret producer Smile Davis makes his debut throwing a reggae flip on Woxow's jazzy vibes "Look Around", featuring lyrics from New York MC Stimulus. 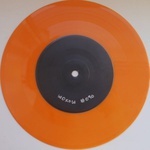 Orange vinyl; Edition of 200 (hand-numbered). "CHAOS" takes its influence from the golden age boom-bap era of hip-hop. Woxow's message has been perfectly delivered by two great rappers, Akil the MC from Jurassic 5 and Blurum13, while on the other side the chorus sang by the legendary Ken Boothe from Jamaica, sounds like an absolutely extraordinary event (as Mr. Boothe doesn't go very often for featuring nowadays), topping the tune with his still outstanding soulful voice with a touch that recall the "work songs" feeling. 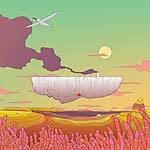 New Zealand master of intergalactic funk, K+Lab provides a remix on the B side.